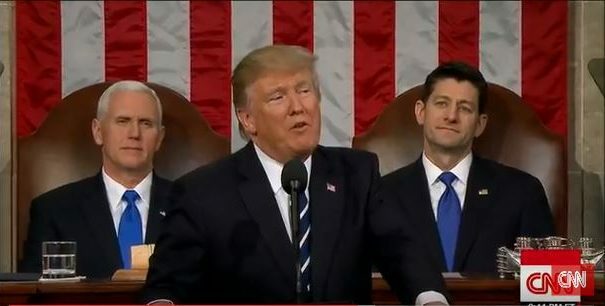 President Donald Trump has hailed the death of Obamacare, as his bill repealing many of his predecessor’s healthcare reforms was narrowly passed by the US House of Representatives. The lower house voted 217-213 in favour of the revised American Health Care Act in the lower chamber of Congress, which is controlled by Trump’s Republican party. Democrats said the changes, if approved by the Senate as well, would leave millions without health insurance, and legislators were met with protests as they left Capitol Hill after the vote. After rejection six weeks ago, the revised bill will now be passed to the Senate, although it is far from certain that it will make it through the upper house without further changes as some Senators have serious reservations about the bill. While Trump declared during a post-vote celebration that he would “get this finished” and that Obamacare was “essentially dead”, moderate Republicans said major adjustments will be necessary for the bill to become law. It is Trump’s first legislative success since taking office in January, and a victory in healthcare would help the president fulfil a key election pledge. Trump’s new law would repeal key areas of Obamacare – such as the individual mandate requiring all citizens to have health insurance or pay a tax penalty. This is repealed under the new draft bill, but those without health insurance for more than 63 days pay a 30% surcharge on their insurance premiums for a year. Also gone will be the requirement for companies with more than 50 employees to offer health insurance or pay a penalty. It also repeals most of Obamacare’s taxes, including those on branded drugs, medical devices, wealthy individuals, and health insurers. Significantly, the bill would also reverse an Obamacare rule preventing insurers from denying coverage or charging more to those with pre-existing conditions. States will have the option to waive pre-existing coverage requirements, if they set up high-risk insurance plans for those priced out by other insurers. States will also get to opt out of certain benefits required by Obamacare, including cancer treatment and mental health counselling. One of the biggest concerns about this re-drafted version of the American Health Care Act is that its fiscal impact hasn’t yet been assessed by the Congressional Budget Office (CBO). The CBO report from March, when the last version of the bill was first introduced, concluded that over 10 years, 24 million fewer people would be covered under the bill who otherwise would have had insurance under Obamacare. It’s unclear how the new amendments will affect its impact, but a CBO verdict and greater scrutiny in the Senate could still de-rail the legislation again. Marilyn Tavenner, president and CEO of America’s Health Insurance Plans (AHIP), which represents health insurers across the country, indicated that the organisation opposed the removal of protection for those with pre-existing conditions. “AHIP believes that every American deserves coverage and care that is affordable and accessible, including those with pre-existing conditions. The American Health Care Act needs important improvements to better protect low- and moderate-income families who rely on Medicaid or buy their own coverage. Tavenner said the bill needed ‘improvements’ before it could be made law, including funding for cost-sharing reductions that lower co-payments for patients, and support for Medicaid, the federal programme which helps 80 million lower income individuals pay for healthcare.